广州话 / 廣州話, English, 日本語. 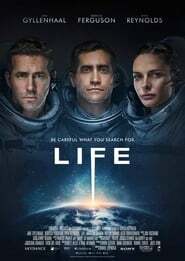 ‘Life’ is a movie genre Horror, was released in March 23, 2017. Daniel Espinosa was directed this movie and starring by Jake Gyllenhaal. This movie tell story about The six-member crew of the International Space Station is tasked with studying a sample from Mars that may be the first proof of extra-terrestrial life, which proves more intelligent than ever expected. Bonnie Curtis, Julie Lynn, Dana Goldberg, David Ellison. Columbia Pictures, Skydance Productions, Sony Pictures Entertainment (SPE), Nvizage. This week we had comedian Adam Hunter on the podcast. Bryce and Adam talk about all the shenanigans taking place throughout the MMA world; from Kimbo Slice and Ken Shamrock last Bellator to Jose Aldo and Coner McGregor this upcoming UFC.We also discuss Adam’s love for wrestling and his new film Pinned. In this Episode of the Drum Technique we sat down and got to know Martial Arts Movie Legend Phillip Rhee. Master Rhee gives us a close up look into his life, Martial Arts Training and how he ended up in Flims such as Best of the Best. He also previews his new film Underdog Kids wich comes out July 7th. Tune in and get to know Master Rhee. In this impromptu episode of the podcast Bryce and Joe got to geek out on Martial Arts /Boxing and Jiu Jitsu. Joe also gives an amazing account of the impact Mark Munoz has had in the MMA community as well as his career as a fighter. Tech Talk retreat at the Vortex with special guest speakers Judith Bowman and Chrissie Stereo talk about using the social network and producing Radio Drama. Hard Yards LA – The Gangs all here. Coach Rudestar and Ingles join the Coach talking about the NCAA playoff picture and fighting Jameis Winston. Coach talks about Rob Bironas’ death and the hypocrisy of Bud Light and the effects of Adderrall. Coach discusses off season hi-jinks and the new drug law suit against the NFL.